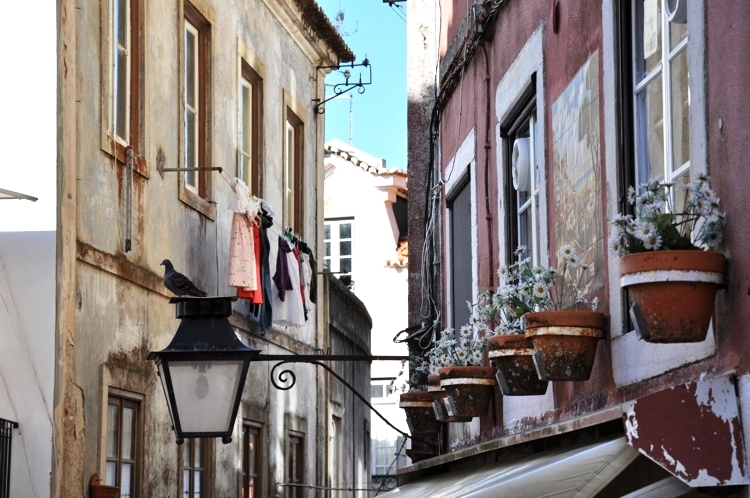 Sintra could be described as the town that has it all – a romantic centre hidden in the verdant hillsides of a protected national park, with historic palaces, convents and castles emerging through the greenery at their summits, each with its own unique history and character. The old town of Sintra has been established for centuries and is the perfect starting point for discovering all that the town has to offer. 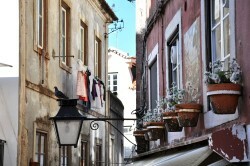 Wander through the winding streets and alleys of the old town, lined with bakeries, craft shops and quirky boutiques. The Praça da Republica forms the centrepiece of the town centre and it is from the Praça de Republica that the streets and pathways begin their winding ascents to the various landmarks that punctuate the surrounding hilltops. It would be impossible to discover all that Sintra has to offer on foot, but there are plenty of short-hop buses and taxis to help you along your way. Alternatively, hire a bike to make the most of the beautiful scenery as you make your way from one historic monument to another. 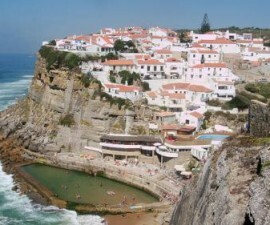 Sintra’s attractions are a beguiling mix of the exotic and hedonistic – and the ecclesiastic and monastic. It has a deep history as a place of worship and a monastic centre where various orders were established over the course of its history. And yet at the same time, it was a place of retreat and summer fun for the Portuguese and European aristocracy for several centuries. 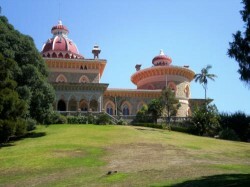 Begin your exploration of the Sintra attractions at the National Palace, located right in the heart of the town. The National Palace is perhaps the best preserved of all Sintra’s palaces and boasts a wonderfully eclectic mix of architectural styles that tell the story of its evolution through the centuries from its inception in the early 1400s. The Pena Palace is the most iconic and most photographed palace in Sintra. 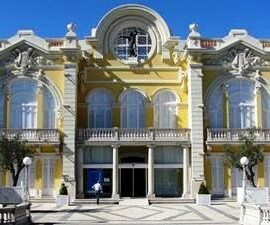 It is one of the best examples of nineteenth-century Romantic architecture anywhere on the continent and is visible for miles around, including as far as Lisbon some thirty kilometres away, on a clear and sunny day. The Pena Palace is more than worthy of its UNESCO World Heritage designation and is one of the officially recognised Seven Wonders of Portugal. 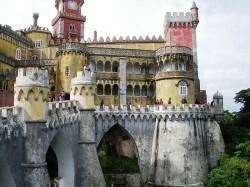 Whilst the Pena Palace is perhaps the most well-known, there are many more grand palaces in Sintra besides. The Queluz National Palace is another of Sintra’s must-visit attractions. The Queluz National Palace was the retreat of Dom Pedro, the Duke of Bragança who led a colourful life and married his niece, Queen Maria I, to become King Consort. Queen Maria went on to be incarcerated here as she degenerated into madness following his demise. 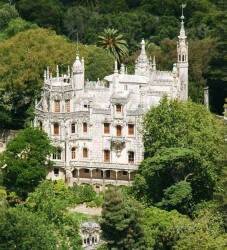 The Monserrate Palace completes the best of the Sintra palaces. Visitors to the Monserrate Palace come to marvel at its Moghul-inspired design details and English charm, built as it was by an English nobleman who became welcomed into Portugal’s aristocracy. Once you have had your fill of the palaces, head to the intriguing sixteenth-century Convento dos Capuchos with its grotto where one of the founding Convento dos Capuchos members of the order is said to have spent no less than thirty years in penance. The ruins of the Moorish Castle are also well worth a visit for their dramatic location right on the peak of one of the highest mountains. Sintra is famous for its beautiful architecture and history, but it is also one of Portugal’s designated UNESCO World Heritage Sites for its rich architectural and natural landscape, such as the areas around the Quinta da Regaleira. 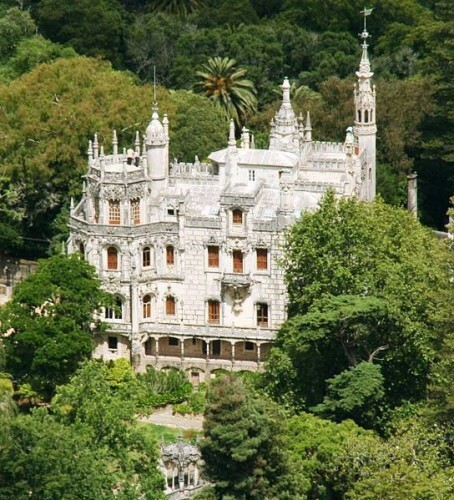 The Quinta da Regaleira is a beautiful example of how the two have been successfully and intelligently brought together, where the fairy-castle style architecture, water features, grottoes and magical secret passages are interwoven with exquisite landscaped greenery to dramatic effect. Whether you are visiting Sintra for a day or a week, the memories of its beautiful historic attractions will stay with you for a lifetime.